As Emirates Airlines announced that they will cease all flights to and from Guinea, there is growing concern that airlines operating in neighbouring Sierra Leone may also decide to impose a ban on flights to the country. Sierra Leone has so far recorded the highest number of fatalities from the deadly virus in the sub-region. A female passenger who arrived at Gatwick from Freetown on Saturday morning and collapsed at the airport, died later in a British hospital. But tests showed that she did not die of the Ebola virus, contrary to British newspapers’ report. Arriving at Heathrow airport in London from Freetown, on Friday, 1 August, Dr. William Konteh (Photo), a Sierra Leonean government official, understood to be serving a hefty court bail, following an Anti-Corruption Commission indictment for the misappropriation of public funds estimated at $1.5 million, spoke to Sky News about the lack of Ebola vigilance at British airport. But immediately after that surprised appearance at Heathrow airport and his comments on Sky TV, several readers of the Sierra Leone Telegraph contacted the newspaper, to question whether Dr. Konteh has indeed jumped his High Court bail, in violation of the stiff conditions imposed by the country’s Anti-Corruption Commission. On the 17th October, 2011, Dr. William Konteh appeared in court in Freetown, after seven months of investigations by the Anti-Corruption Commission (ACC). The former executive chairman of the 50 years Independence Celebrations Committee – Dr. William Konteh and eight others were charged on various counts of corruption, including; the misappropriation of donor funds, unlawful acquisition of benefits, and breach of procurement contract rules. It is alleged that an estimated sum of $1.5 Million donated to the country’s 50th Independence celebrations committee, headed by Dr. William Konteh to help the country in preparing for the celebrations, was stolen. William Konteh (Photo) was indicted on a 19 count charge, relating to the misappropriation of those funds. On the 19th October, 2011, Dr. William Konteh and others appeared in the High Court again for bail application hearing. The terms of the bail was set at £17,000. Presided by Justice Abdulai Charm, the High Court also ordered the accused to present one surety, as well as surrender all travelling documents to the Master and Registrar of the High Court – Mr. Elwin Baylor, who is believed to have been a close friend of Dr. Konteh. In addition to those bail conditions, which many in Sierra Leone and outside now believed to have been violated by Dr. William Konteh, the British Department for International Development had signed an agreement with the government of Sierra Leone, stipulating that any Sierra Leonean government official charged with corruption offences, will not be allowed to travel to the UK on any international passport, pending the conclusion of their corruption trial. 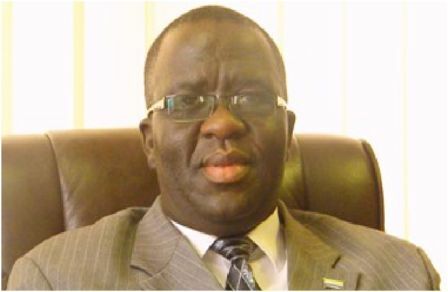 Another reader said that both President Koroma and the Anti-Corruption Commissioner – Mr. Joseph Kamara (Photo), must have been fully aware of Dr. William Konteh’s naked violation of the terms of the High Court bail, which imposes travel restrictions. Since the adjournment of the corruption trial at the High Court in Freetown in October, 2011, nothing has been heard since. The case was expected to resume on the 26th September, 2012, but presidential and general elections had overshadowed the trial. The accused did not appear in Court for the hearing, prompting questions as to the credibility of the country’s justice system, as well as the impotency of the Anti-Corruption Commission, in following through on high profiled corruption cases. But Dr. William Konteh is the younger brother of Dr. Richard Conteh, who until a few weeks ago was stripped of his position as the chief of staff at presidential State House, for allegations of massive corruption involving tens of millions of dollars. Dr. Richard Conteh (Photo) has been charged with several counts of abuse of office and corruption, and after spending two weeks at the country’s notorious Pademba Road prison, was granted bail, including travelling restrictions. Richard Conteh, like his younger brother William, now also awaits his fate in the courts. But many believe that Dr. Richard Conteh is also expected to get away with violation of the terms of his court bail conditions with impunity. A close confidante of Dr. William Konteh, residing in London, revealed to the Sierra Leone Telegraph that, the purpose of Dr. William Konteh’s visit to the UK is to solicit British public funds in support of the government’s fight against the Ebola virus that is now ravaging the country. ‘Sending the mouse to fetch the cheese’ he commented. But many Sierra Leoneans in London believe that VoiceAid was formed as a vehicle to solicit funds purposefully for the personal gain of its directors, with little or no benefit to the deprived communities they claim to be serving. 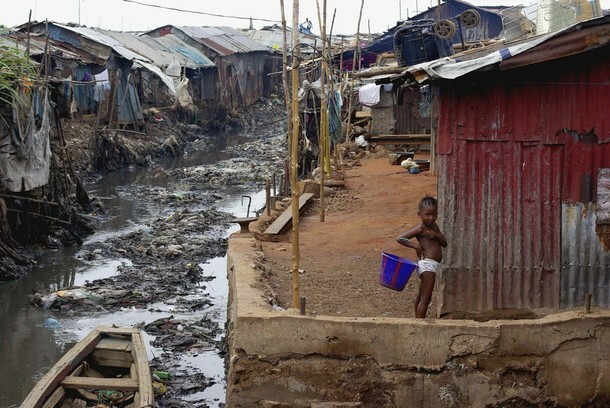 Sierra Leone is one of the poorest nations in the world, and rampant corruption is the main contributor to early childhood death, high adult mortality, high maternal mortality, and now the spread of the deadly Ebola virus, due to decades of underinvestment in the country’s health sector, sanitation and water supply. Sierra Leonean born former Mayor of Southwark and the Liberal Democrat 2010 parliamentary candidate – Dr. Columba Blango, is said to be a patron of VoiceAid (UK). So who are the Directors of Voiceaid (UK)? Mr. Edward Eric Sesay is VoiceAid (UK) Chief Executive. He is believed to hold a Masters degree in Business and Finance from Durham University Business School (BA Hons – Durham University) and currently serves as an Asset & Investment Consultant with London Local Council in the UK – a multi-million pounds government scheme to carry out the Government Capital Project Works (New Built Homes Scheme). Miss Alishia Sheriff is the Director of Strategy & Policy. 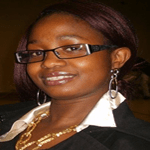 Alishia Sheriff is believed to be a qualified pharmacist in the UK. She is understood to have extensive experience in working with poor and marginalized communities especially in dealing with drugs and substance abuse. 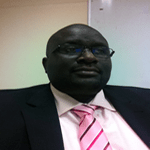 Mr. Fuad Turay is the Operations Director. 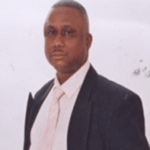 He is said to be the founder of Business Incubation Group in Sierra Leone, and said that he has over 10 years experience in micro enterprise development programs. Ms Tino Cooper is the Financial Adviser. She is believed to have vast experience in dealing with financial matters including the implementation of strategic financial plans, preparation of budgets and compilation of budgets reports, management of financial operations, management and analysis of the Management Information System, coordination of internal auditors and analysis of the audit findings for both private companies and charitable organizations. Mrs. Jose-Hulsenbek Mansaray is the Project Coordinator. 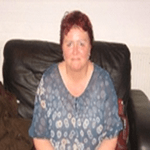 She says that she has worked for Medicines Sans Frontiers (MSF) for the past 15 years. MSF is an international medical humanitarian aid agency; and that in those years she has had a variety of positions, including deputy head of mission in Darfur, office manager for the Amsterdam Office (200 employees), Financial and Human Resources Office in Tajikistan. She is believed to have executed several missions as Project Coordinator in Pakistan, Afghanistan and Sierra Leone. 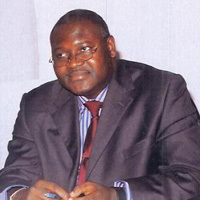 Dr. William Konteh is a Consultant working for the organisation. Dr William Konteh says that he holds an MBA and a PhD in Environmental Science from the University of Leeds in the UK; and that he is a co-founder of VoiceAid (UK) and the first Chairman of the organisation. He said that he recently served as the chairman & chief executive for the successful delivery of the 50th anniversary celebration of the Republic of Sierra Leone. He said he was a Project and Programme Management Consultant for Post Office Consulting between 1997 and 2003 – providing expert advice and support to several multi-million pound projects and programmes across Royal Mail Group Plc through start-up, business case development, planning, implementation, risk management, configuration management, relationship management, monitoring, control, closure and review. He also said that he was also the Director of Planning and Development for the Wesleyan Church of Sierra Leone. 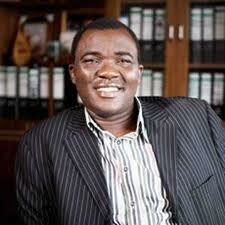 Mr. Joseph Kambo is also a Consultant working for the organisation. Mr. Kambo is co-founder of VoiceAid (UK). He said he is an international businessman who is said to be relentlessly promoting VoiceAid both home and abroad. Has Dr. William Konteh violated the terms of his High Court bail, imposed in 2011? Is president Koroma aware of this breach, and did he, along with the Anti-Corruption Commissioner approve of his travelling abroad? Did Dr. William Konteh misrepresented himself to Sky News last Friday, at Heathrow airport as a medical doctor, rather than a PhD holder in Geography, unqualified to comment and give advice on Ebola control measures at Heathrow airport? Those are the questions readers of the Sierra Leone Telegraph would like to be answered. 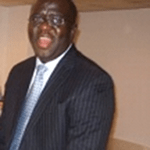 The Sierra Leone Telegraph has not been able to contact Dr. William Konteh in the UK, so that he could respond to these and other pertinent questions. Sierra Leoneans are demanding justice and full accountability, for the 50th Independence celebration funds that were stolen. 1. That I am not a Sierra Leone Government Official and have never claimed to be one since February 2011 when I stopped working for the Government of Sierra Leone. 2. I did not come to the United Kingdom to raise funds on behalf of the Government of Sierra Leone as you alleged in your publication, or any individual or group whatsoever. I am simply a concerned Sierra Leonean asking the world to take the plights of Sierra Leoneans and our brothers and sisters from West Africa seriously. A global problem requires a global containment strategy. 3. While I cannot comment on the specifics of a matter that is in a court of competent jurisprudence, I am constrained to clarify that there is a clear procedure within the courts of Sierra Leone for defendants to request their travel documents and travel as and when the need arises with the prior approval of designated persons within the court system. I have not breached the conditions of my bail or jumped bail, and never will. Contrary to your assertion, I have fully co-operated with the court and have never missed a hearing. 4. May I also clarify that your references to Mr Elwyn Bailor as Master and Registrar of the High Court and a close friend of mine are both completely wrong and misleading. 5. Please let us all try to respect those in positions of authority. Accusing the President of Sierra Leone and the Commissioner of the Anti-Corruption Commission of being fully aware of my violation (a violation that actually did not occur) of the terms of my high court bail is misguided and unfortunate. Indeed you have done them great wrong and owe them an apology. 6. I am not sure to what effect you chose to bring Richard into this ill-motivated piece of misinformation and so will not comment on that. 7. I have never worked for any organization in the United Kingdom since I decided to return home in November 2007. I have never in my entire life worked for VoiceAid UK. 8. And finally, may I reiterate that I hold a PhD in Geography (Specialising in Environmental Science) and have no reason to pretend that I am a Medical Doctor. I am however flabbergasted by your statement that I am not qualified to comment on Ebola Control Measures or, should I say, the lack thereof. I am from Sierra Leone and have seen first-hand the devastating effects of Ebola and the control measures put in place by the President, Government and People of Sierra Leone. Am I unqualified to share that experience with others? I hope you will publish these facts for the benefit of your readers. A large section of the Bench in the judiciary is on vacation presently so i think the “doctor” took the opportunity to have a break himself. When it comes to reaction to issues of probity and accountability of those in the corridors of power, the reaction is “full of sound and fury signifying nothing” in the end. We will have the same outcome to the court case (Timbergate 2) of his brother, Dr Richard Conteh the former Chief of Staff. The “fight” against Ebola has conveniently put him out of the spotlight! !